Click the photo above or here for the full resolution photo. 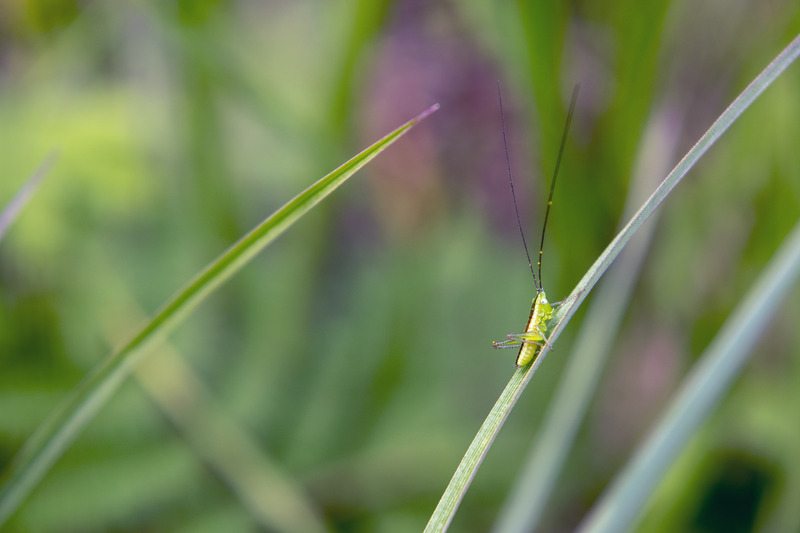 While this katydid is in the family of lesser meadow katydids, one of it’s most notable features are it’s ridiculously long antennae. As it matures, it also grows a very long ovipositor and eventually wings nearly twice as long as it’s body. Those wings are particularly useful for attracting mates when it comes time to chirp. Ever been camping or outside at night and hear an extremely loud cricket? So loud it almost hurts your ears? More often than not, it’s one of these little guys.